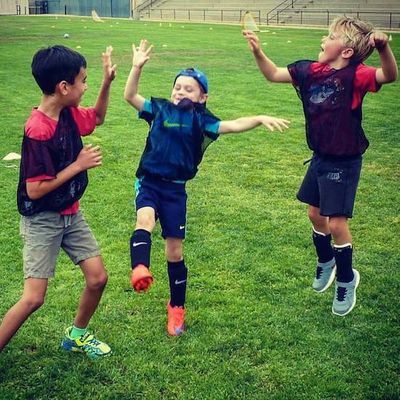 Since 2004, Coach Andy's Assist Athletics has been providing unique classes and camps aimed at giving kids the best possible sports experience. We coach youth sports programs for athletes and kids of all ages. Our coaches have over 40 years combined experience working with athletes of all ages and levels. Assist Athletics offers a variety of programs for After School Sports and Sport Camps. We also teach Physical Education Programs and offer Excellent Sport Birthday Parties. T-BALL will start April 9th. Reserve your spot now for one of the best T-Ball programs in Southern California for 4 - 6 year olds. Kids will learn T-Ball fundamentals, play exciting games and get team shirts. 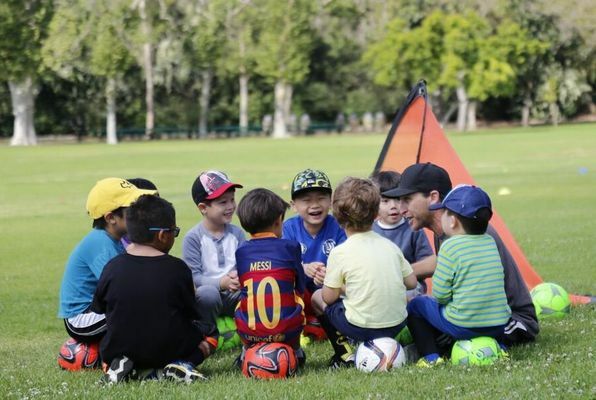 We offer Sports Camps during the summer at multiple locations. 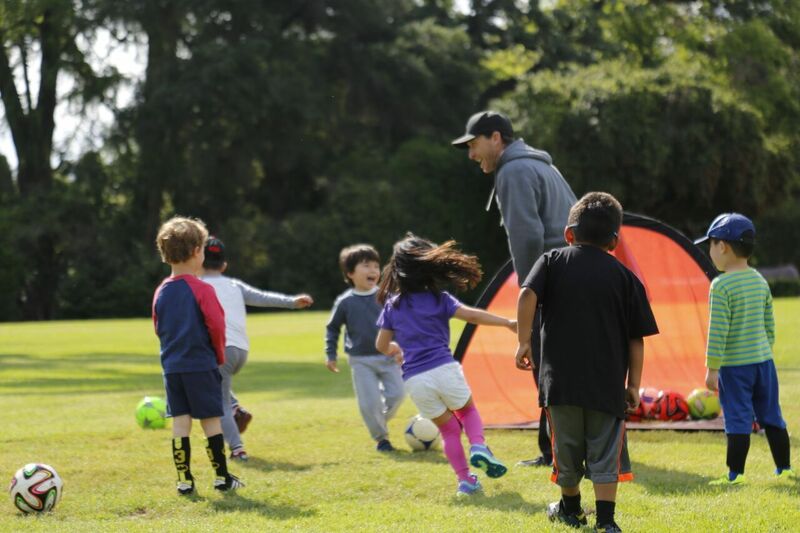 Coach Andy has offers several different camps during the summer; Sports Blitz Camp, Flag Football Blitz Camp, Soccer Blitz Camp, and Baseball Blitz Camp. 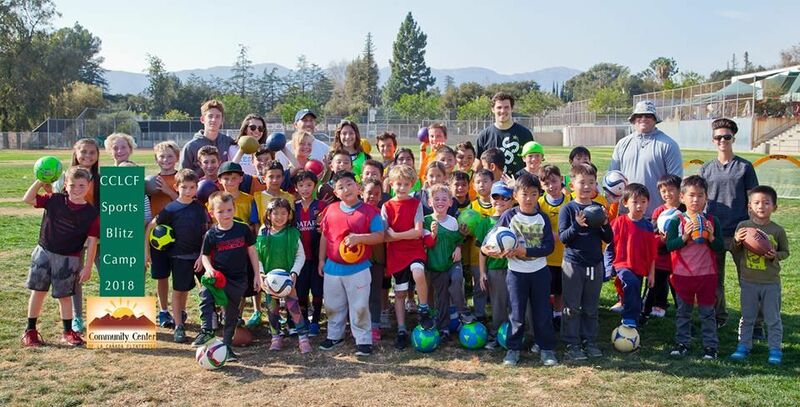 We also offer Sports Blitz camps over Thanksgiving Break, Winter Break and Spring Break in La Cañada. For more information and registration for Coach Andy's Summer Camps in La Cañada please click HERE. For more information and registration for Coach Andy's Summer Camps in San Marino please click HERE. Or sign up in person at the recreation office at Stoneman School (1560 Pasqualito Dr. San Marino). At the Community Center of La Cañada Flintridge (CCLCF). We offer Flag Football, Soccer, Basketball and Mini-Sports Blitz. At Lacy Park in San Marino on Saturdays. 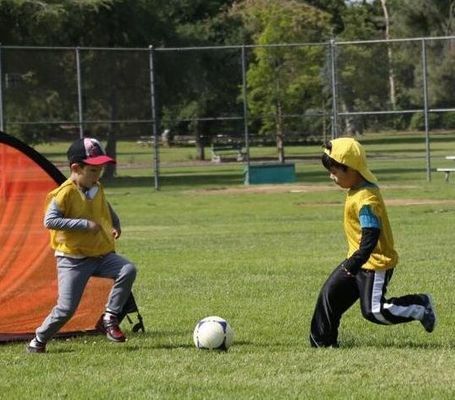 We offer Mini-Sports Blitz, Soccer, Flag Football, and T-Ball. We are proud to introduce our new coach - "Coach Candice"
Candice played college basketball at Stanford University, where she graduated as the all-time leading scorer in Stanford and Pac-10 women's basketball history. 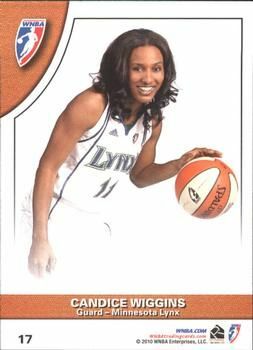 She played in the WNBA for the Minnesota Lynx,Tulsa Shock, Los Angeles Sparks and New York Liberty and has won a WNBA championship (2011) and WNBA Sixth Woman of the Year (2008). Candice has recently been inducted to the Stanford Hall of Fame. Congrats Candice! 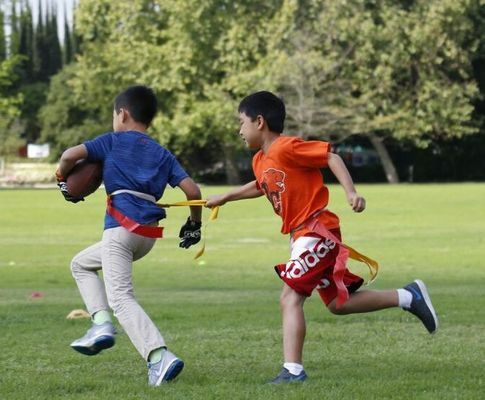 Assist Athletics Flag Football Blitz provides a safe, fun and exciting way for players of all skill levels to learn the game. We put the FUN in Fundamentals. Our coaches provide kids an opportunity to engage in skill development, football techniques and non-contact continuous action! Click the links for program details, locations, dates, and times. Coach Andy is bringing you his most comprehensive soccer program yet. Participants will hone their skills in an environment that emphasizes fun and fundamentals! 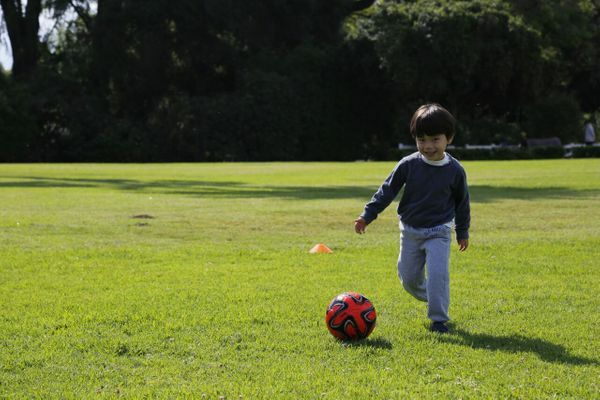 Your child will learn the basics of soccer through drills and practice games in a fun and positive learning environment. Emphasis will be placed on teamwork, safety and fun. Introduce your child to America’s favorite pastime! This program uses exciting drills and games to break down the fundamentals of throwing, catching, base-running and hitting. Learn the fundamentals of passing, shooting, and rebounding in both offensive and defensive play through drills set in a non-competitive environment. At the end of each class, players will scrimmage using their newly-acquired skills. Click link for program details, locations, dates, and times. Our Mini Sports Blitz program will introduce 3 year-olds to today’s most popular sports. 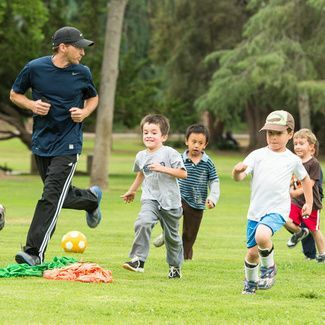 Through parent participation, kids will learn the basics of t-ball, soccer and more. 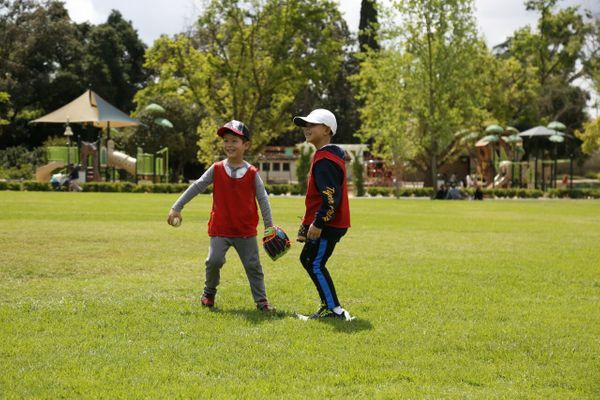 Their motor skills and understanding of the games will improve through activities that teach fundamentals such as base-running, throwing, kicking, and dribbling. 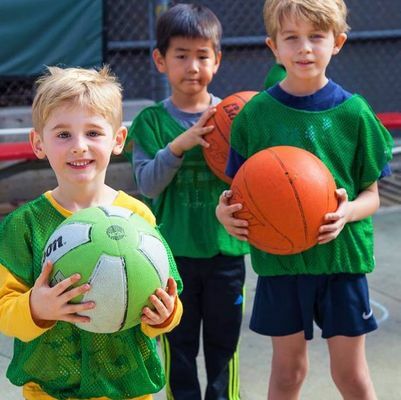 We offer Physical Education programs for Preschool through 8th grade. We follow the Physical Education Model Content Standards for California Public Schools. We have a Certified Physical Education Teacher on our staff. Our teachers and coaches work with students of all ages and levels. Click the link for more information about our PE programs. Let the Party Begin!!! Our coaches will bring equipment, set up the games and entertain all invited guest for 1 to 2 hours. The birthday boy or girl can choose between: Soccer, Baseball, Flag Football, Dodge Ball, Basketball (if courts are available) and/or Multi-Sport. Every guest will be engaged, encouraged, and invited to play while at the party. All games and activities will be non-competitive with emphasis on HAVING FUN!!! Click link for more information and pricing. Looking for a part-time position working with kids and sports? We are seeking high energy individuals to help coach our youth sports programs. Coach Andy's Assist Athletics puts the FUN in Fundamentals. Observing, assessing, and assisting our coaches and players is paramount. The position entails hands on involvement with drills and scrimmages among all age groups and skills levels. Click link for information, details and how to apply.